Poison Ivy can play a real spoilsport with holiday makers and people out on a picnic. Almost 50 million people living in the United States are poisoned by coming in contact with this plant. 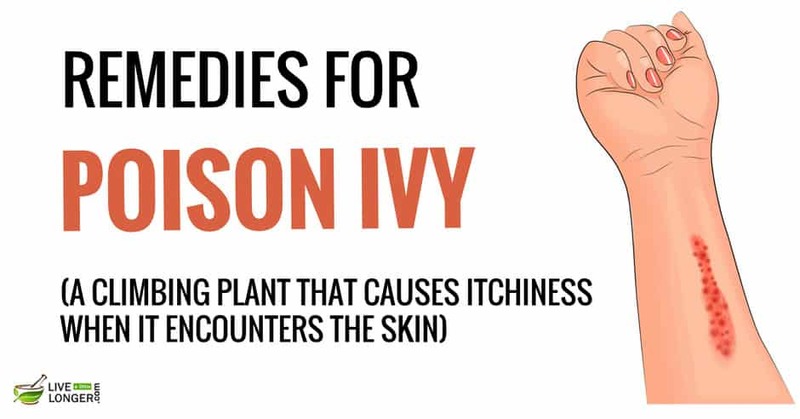 Poison ivy probably causes the most number of allergic reactions in the U.S. Coming in bodily contact with this plant causes severe itching, and rashes start appearing almost immediately. Poison ivy is in the class of poison oak and poison sumac, and being allergic to any one of them can make you be susceptible to be allergic to the other two as well. The juice or sap that oozes out when you crush or break a poison ivy twine is what causes the allergic reaction. Known as urushiol, this oily sap is common to all the three poisonous plants mentioned above. It is better you don’t walk into the woods barefoot because mere contact with poison ivy while you are barefoot can affect you. Even brushing against the ivy or breaking a vine will lead to allergic reactions. There are several effective home remedies for poison ivy, some of which are detailed below. Before that, let us take a look at the causes and symptoms of poison ivy. Mix 2 tablespoons of baking powder in 1/4 cup of clean water. Make a thick paste and apply it on the affected portions of the skin and allow it to dry. Baking powder or sodium bicarbonate will certainly be part of your kitchen. It is a wonder chemical that has several curative attributes. It is safe to apply on the skin of adults and even small children. Baking soda has a mildly alkaline property which has a soothing effect on the affected portions. It helps ease the itching and neutralizes the poisonous effect of the poison ivy. Apart from applying baking powder paste directly on the affected portions it can also be diluted in water and used. Mix 2 tablespoons of baking powder in a liter of water and soak a strip of gauze pad in the solution and spread it on the affected skin. Let it sit for an hour or so. Repeat the process two to three times during the day. As baking powder acts quickly on the poison it is one of the best home remedies for poison ivy. The infection is too severe and there is no effect using such a home remedy. In such cases consult a doctor immediately. Take one cup of oatmeal and powder it. Bundle up the oatmeal powder in a soft muslin cloth. Fill your bathtub with warm water. Tie up the bundled oatmeal to the bathtub faucet. Soak in the water for an hour or so. Continue the process as required. Oatmeal is a great skin moisturizer and soothes the itching caused by the poison ivy. Oatmeal is also an excellent anti-inflammatory agent and helps reduce the swelling caused by the poison ivy. A warm oatmeal bath gives almost instant relief, thanks to the soothing effect making it one of the best home remedies for poison oak. You may take two oatmeal baths in a day, one in the morning and one in the evening. Continue this process for a week, extend if required. Take one medium sized organic cucumber and grind it into a soft paste. Mix 2 teaspoons of organic Turmeric with the cucumber paste. Apply this paste on the affected areas. Cucumber has a very cooling and soothing effect on the skin. Applying cucumber on the skin offers relief from the itching and burning sensation caused by the poison ivy. Turmeric (Curcuma longa) has amazing antiseptic properties and has been in use as a folk medicine for treating simple cuts and wounds and serious skin infections. 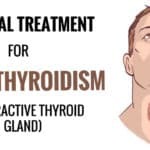 The curcuminoids or the phenolic compounds like diferuloylmethane, demethoxycurcumin, and bisdemethoxycurcumin present in turmeric along with Vitamin A, which is present abundantly make this combination help with the healing process making this combo a perfect home remedy for poison ivy. The infection is too severe and there are severe reactions even after administering this home remedy. In such cases consult a doctor immediately. Cut two thick leaves of Aloe Vera. Shave of the thorny spikes on either side. Peel the skin on one side (preferably the rounded side). Collect the translucent gel and crush it gently. Apply the gel on the affected parts of the skin. Aloe Vera is a medicinal herb that has many curative properties. It can be consumed internally for various stomach disorders and is also applied as a topical balm due to its skin-friendliness and anti-bacterial and antiseptic properties. Aloe Vera has been used as folk medicine for ages and was used for treating small cuts, wounds, infections, rashes and boils appearing on the skin. When applied on the areas affected by poison ivy, it acts as a neutralizing agent and helps control the itching and burning sensation apart from reducing the toxic effect of poison ivy. This is what makes Aloe Vera one of the best home remedies for poison ivy. Get a handful of ice cubes from the refrigerator. Tie up the ice cubes in a thin plastic sheet or polythene bag. Apply the ice pack on the affected areas for 10 to 15 minutes. Repeat the process as many times as required. Ice packs are known to give relief from the burning and itching sensation caused by poison ivy. However, ice packs can only offer relief and not a permanent cure for this condition. If there is any inflammation caused by the poison ivy, even that will subside by giving the ice pack treatment. Similarly, in case there is any muscle pain or spasms, one can expect to get instant relief from the ice pack treatment. An ice pack also prevents the stiffening of the skin and muscle in the affected areas making it one of the ideal home remedies for poison ivy. Take 2 teaspoons of organic honey and 1 teaspoon of turmeric powder. Apply the honey-turmeric paste on the affected portions. Repeat the process 2 to 3 times a day for a week or so. Honey is a natural remedy that has been used as folk medicine for several centuries. It has excellent anti-bacterial properties and acts as a natural healer for poison ivy reactions. Turmeric also has natural antibiotic properties that help neutralize the toxic effects of poison ivy. Turmeric is one of the best remedies that has been used to treat a plethora of skin related afflictions effectively. 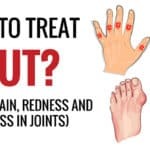 The curcuminoids, which are a group of compounds comprising curcumin (diferuloylmethane) demethoxycurcumin and bisdemethoxycurcumin present in Turmeric, give it the anti-inflammatory properties making it a great home remedy for poison ivy. Take one large potato, wash and grind to a fine paste. Add 2 to 3 drops of undiluted peppermint essential oil. Add 1 tablespoon of salt to the mixture. Add required quantity of water to make a thick paste. Apply this paste on the affected skin. Wipe off after an hour and rub some extra virgin coconut oil. Peppermint essential oil has a soothing effect on the burning skin and gives almost instant relief. It is a great antimicrobial agent and helps neutralize the toxic effects of poison ivy and helps destroy the bacteria. Peppermint essential oil is an excellent skin toner and has been used to treat acne. Potato, which belongs to the Solanaceaene family like tomatoes and eggplants, is a starchy vegetable. Potato has already been used extensively to treat dark circles under the eyes and for removing premature wrinkles. Coconut oil is a natural skin moisturizer, and the medium chain fatty acids found in coconut oil have a soothing effect on the affected skin. This is a winning combination and makes a great home remedy for poison ivy. Pluck a bunch of fresh Neem leaves. Grind it into a fine paste using a mixer-blender. Add 2 teaspoons of organic Turmeric powder and some water to prepare a paste. Apply this paste on the affected areas twice daily for a week. Neem has been praised as one of nature’s bounties that has some amazing medicinal properties. It is a strong antibiotic and has natural anti-inflammatory and antimicrobial properties. It has a soothing effect on the itching and burning skin and helps by healing the affected skin quickly. Turmeric is a wonder spice that has been used for various skin afflictions. The curcuminoids present in Turmeric give it the anti-inflammatory properties that help reduce the swelling caused by poison ivy. The mixture of Neem and Turmeric are powerful enough to make the best home remedy for poison ivy. Take 50 ml of undiluted rubbing alcohol. Mix it with an equal quantity of water. Apply the mixture on the affected areas. Repeat the process twice a day for a week. Rubbing alcohol or 2-proponal is also known as isopropyl alcohol. This substance is very bitter, and is an excellent remover of toxic substances that get lodged on the skin when it comes in contact with poison ivy. Diluting 90% proof rubbing alcohol in water and applying on the affected areas helps neutralize the poisonous effect of the poison ivy. It prevents the toxic chemical urushiol present in poison oak from penetrating into the skin and causing damage. This is probably the easiest and most effective home remedy for poison ivy. Cut a fresh lemon in two halves and extract the juice. Put the juice in a small bowl and add 2 teaspoons of Turmeric Powder. Mix into a thick paste. Apply this paste on the affected areas and let it sit for one hour. Repeat the process twice in a day for a week or so. Lemon juice is a natural astringent and is a perfect cure for poison ivy. It helps nullify the toxic effects caused by the poison ivy sap and helps with the healing process. Turmeric, which is a powerful spice with amazing healing properties also, has antibacterial and antiseptic properties. It has been used in treating wounds and burns and is found to be very effective. The combination of lemon juice and Turmeric powder make a great home remedy for poison ivy.